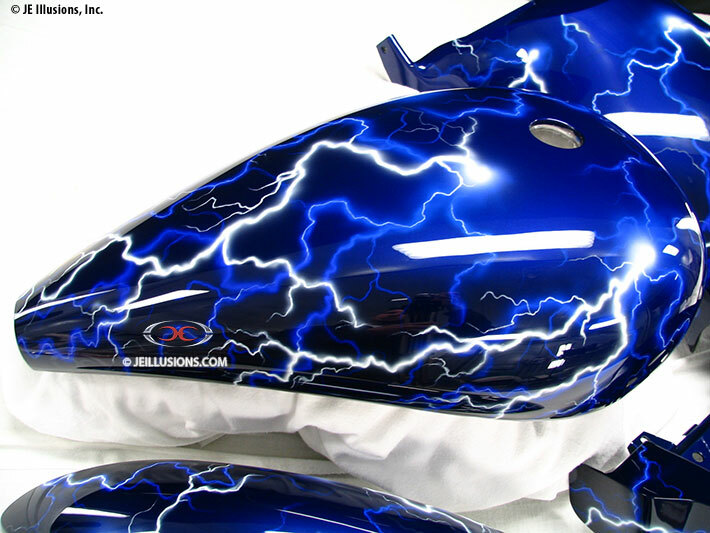 Airbrushed White and Electric Blue Lightning over High Gloss Jet Black really adds intensity to this design. 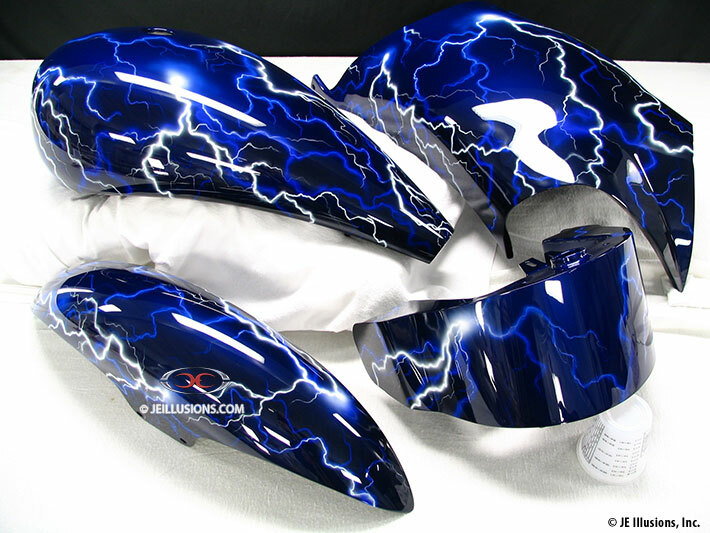 Hints of smoke effects in Blue charge this paint job up even more. 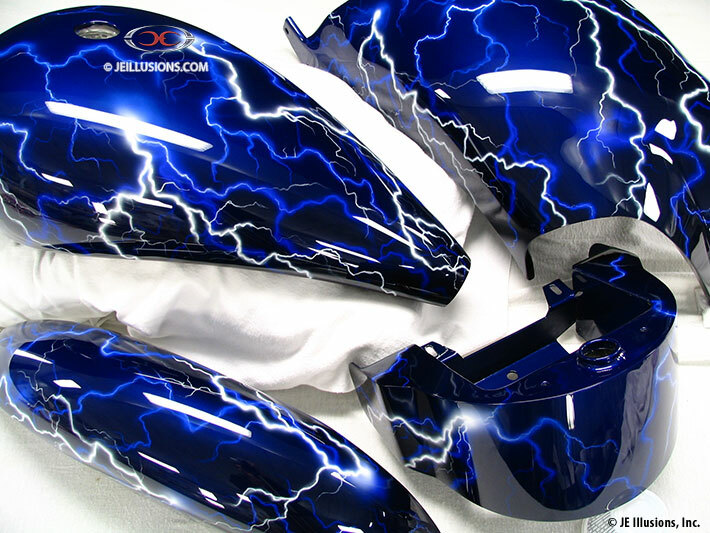 These images also include images from the Hellfire design located in the Gallery section, for side-by-side comparisons of flames and lightning.